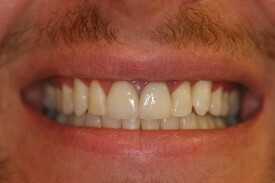 Before: Patient unhappy with darkness near gumline and poor match of color of front tooth. 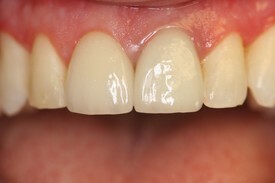 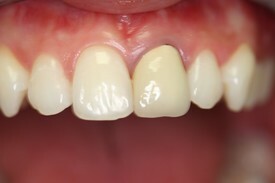 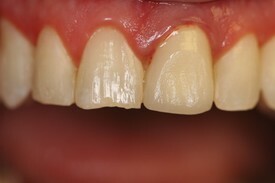 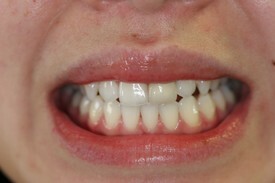 After: New all porcelain crown made to look natural blend with adjacent teeth. 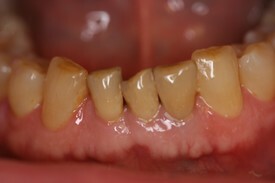 Before: Old crown on front tooth discolored and shape is causing the gums to bleed. 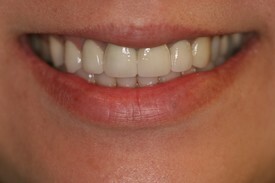 After: Matching new porcelain crown (right) and new veneer (left) to create a harmonious balance of color and shape. 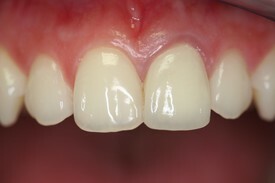 Note the healthy gums. 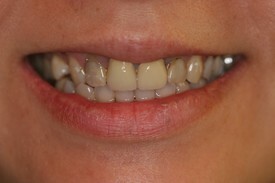 Before: Patient had old crowns on front two teeth that showed metal at the gumline. 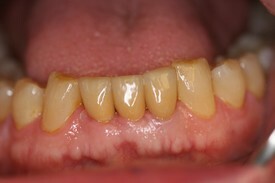 The adjacent teeth are dark from nerve treatment and old composites. 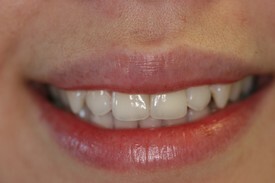 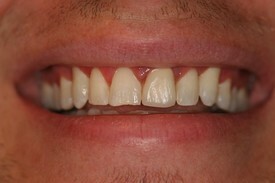 After: All porcelain crowns and veneers made for front teeth to make them whiter and straighter.